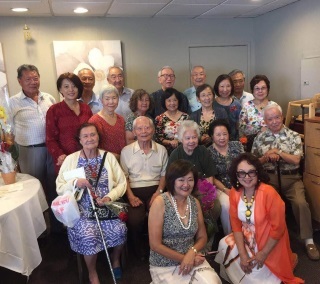 The San Diego Chinese Choral Society celebrated its 30th anniversary with a luncheon at China Max, with over 70 old and new members, spouses and friends in attendance. Pictures by Winnie Fong, Tina Yang, Qian Nancy Fan, Hugh Wang, Shirley Fu. 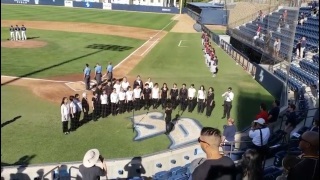 The San Diego Chinese Choral Society was invited to sing the national anthem for the University of San Diego's baseball team, the Toreros, at one of their home games (playing against the Gonzaga Bulldogs). Featuring Ben Adaba on trumpet. Video courtesy of Ms. Haixin Li. 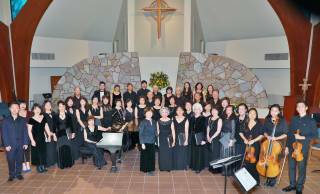 Our 2018 concert, "Our Musical Journey," took place at the Good Samaritan Episcopal Church in La Jolla, marking our 30th anniversary. Guest musicians: Lesi Mei (piano), Junwen Jia (saxophone), Angelina Pei (cello), Amy Lee (violin) and Ryan Wang (violin).